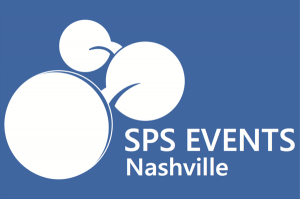 SharePoint Saturday Nashville is a free, one-day event, featuring sessions from influential and respected SharePoint and Office 365 IT professionals, developers and solutions architects who come together to share their real-world experiences, lessons learned, best practices, and general knowledge. The fourth annual event in Nashville returns on Saturday, April 8, at the Business and Aerospace Building on Middle Tennessee State University’s campus.​ Designed for Office 365 and SharePoint administrators, business users, architects, developers, and other professionals who work with Microsoft and cloud technologies, the conference includes tracks for IT Pro, Developer, End User, and Business. Each track will consist of four or five presentations ranging from introductory material to highly technical, “expert” content. The 60-minute sessions will cover SharePoint, Office 365, user interface, and management across a wide range of topics. The speaker line-up represents a broad cross section of the community and offer a variety of perspectives and points of view and includes a mix of local talent, Microsoft MVPs, and MCTs. Registration is FREE, but tickets are limited. A light breakfast, full lunch and snacks are included along with giveaways through-out the day. SharePoint Saturday Nashville is organized by Daniel Glenn, collaboration and SharePoint practice lead at InfoWorks, and is backed by TechFed Nashville.